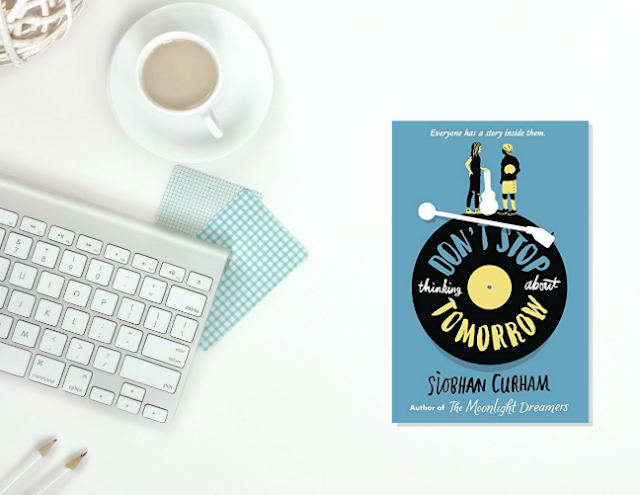 A few weeks ago I shared a very special post to celebrate Don't Stop Thinking About Tomorrow by Siobhan Curham. Siobhan’s new book is all about empathy and seeing things from another person’s perspective and Walker Books organised a blogswap in which they invited bloggers to step into somebody else's shoes. Blurb: An uplifting story of friendship, unity and hope that highlights the important and topical issues surrounding young carers and young refugees. Fourteen-year-old Stevie lives in Lewes with her beloved vinyl collection, her mum ... and her mum's depression. When Stevie's mum's disability benefits are cut, Stevie and her mother are plunged into a life of poverty. But irrepressible Stevie is determined not to be beaten and she takes inspiration from the lyrics of her father's 1980s record collection and dreams of a life as a musician. Then she meets Hafiz, a talented footballer and a Syrian refugee. Hafiz's parents gave their life savings to buy Hafiz a safe passage to Europe; his journey has been anything but easy. Then he meets Stevie... As Stevie and Hafiz's friendship grows, they encourage each other to believe in themselves and follow their dreams. 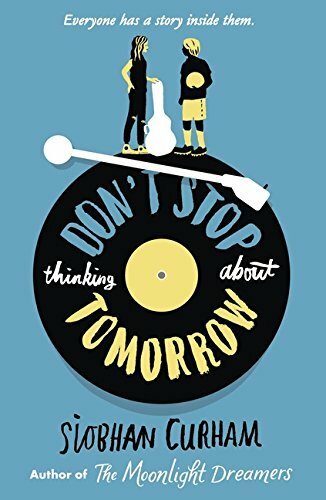 Review: This is a heartfelt and hopeful story about friendship that deals in a very gentle way with several serious issues that affect many young people nowadays. The book is narrated by Stevie and Hafiz in alternate chapters, which gives us readers an insight in both their lives, their struggles and their dreams. Both characters have a very difficult life and have had to grow up faster than their peers at school. After her dad's death, Stevie takes care of her mum, who suffers depression and is not able to leave the house. She worries constantly about their lack of money and tries to find solutions to their problems. Music is her only scape. She is a great musician and thanks to her dad's love of music she always has a song to make every situation better. I tried to listen to the same songs she was listening to while reading her chapters and I felt really connected to her. I would definitely recommend checking the songs, as it gives the story a very special touch. Hafiz is a Syrian refugee. He had to leave his family and friends behind and leave the country with smugglers. After a very long and arduous journey through Europe, he is finally in the UK with his uncle and wife. He is new at Stevie's school and not exactly welcomed by her classmates. Somehow though Hafiz and Stevie gravitate towards each other and start a tentative friendship. Little by little, their bond grows stronger and they are able to share their stories with each other. I especially liked Stevie as a character, she was such a determined and inspiring young girl and I hope she inspires many readers. 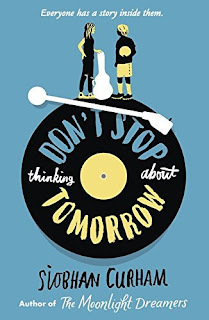 As I said, this story handles very important topics that don't get enough attention in books or media in general, which makes this book very special and especially recommended for readers looking for something different and heartfelt. It reminds us that every single person has a story and it's worth listening to it.